I couldn’t resist making these adorable Reindeer Cookies with Connor. 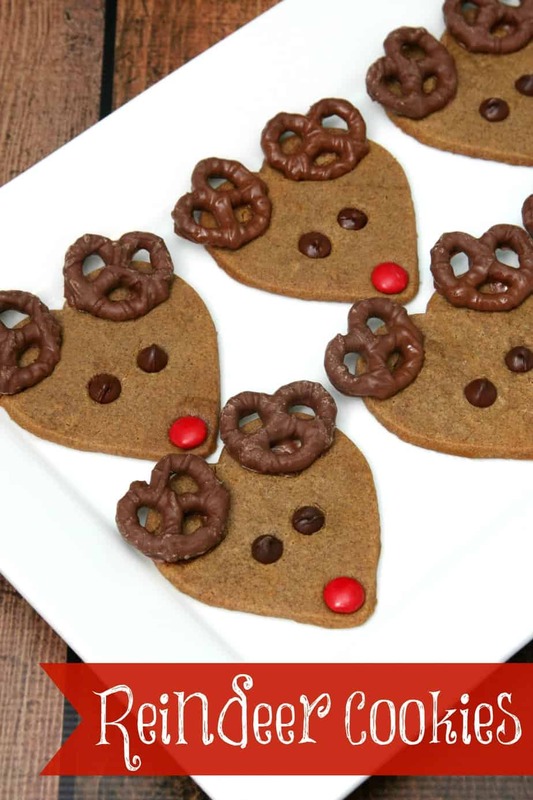 I’ve seen them all over Pinterest and when I found Gingerbread Rolled and Ready Refrigerated Cookie Dough at the grocery store, I knew we had to make them. 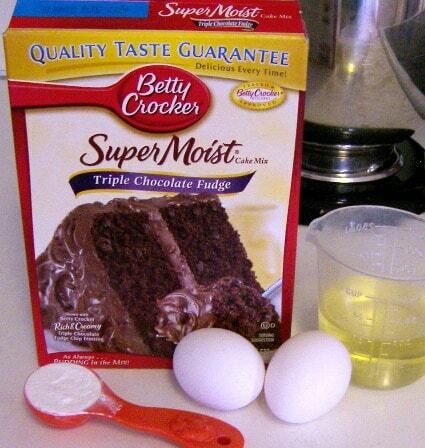 I’m all about quick and easy holiday baking! 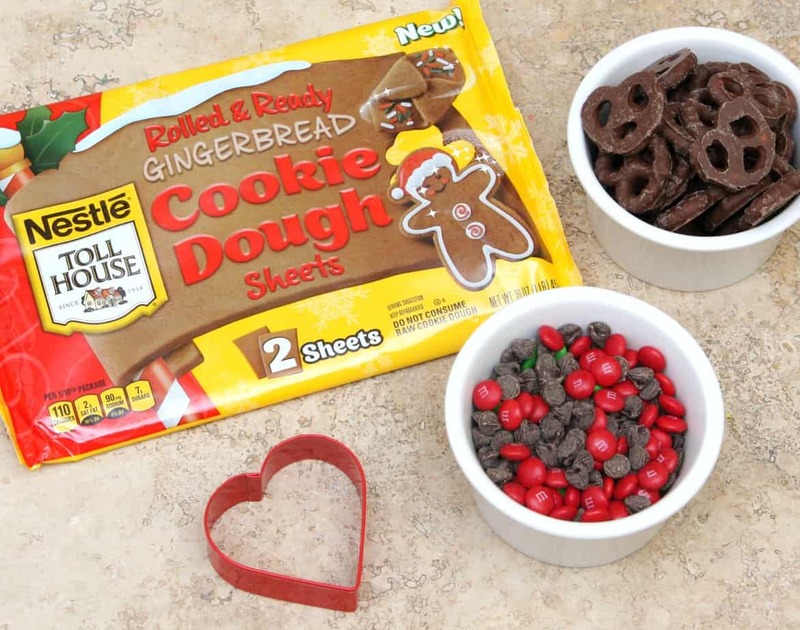 These cookie dough sheets are awesome! It makes baking cookies so much easier. No more rolling out cookie dough. Just unwrap and use cookie cutters to cut out what you need. I used a 3 inch heart cookie cutter for our Reindeer Cookies. Then we decorated them with chocolate covered pretzels, chocolate chips, and M&M’s when they came out of the oven. Super easy and so cute! We will definitely be making more of these. And with all the holiday baking going on, I thought it would be fun to round up 14 awesome Baking Tips and Tricks that I can’t believe I didn’t know about before today. I mean seriously – How did I not know these things? 1. 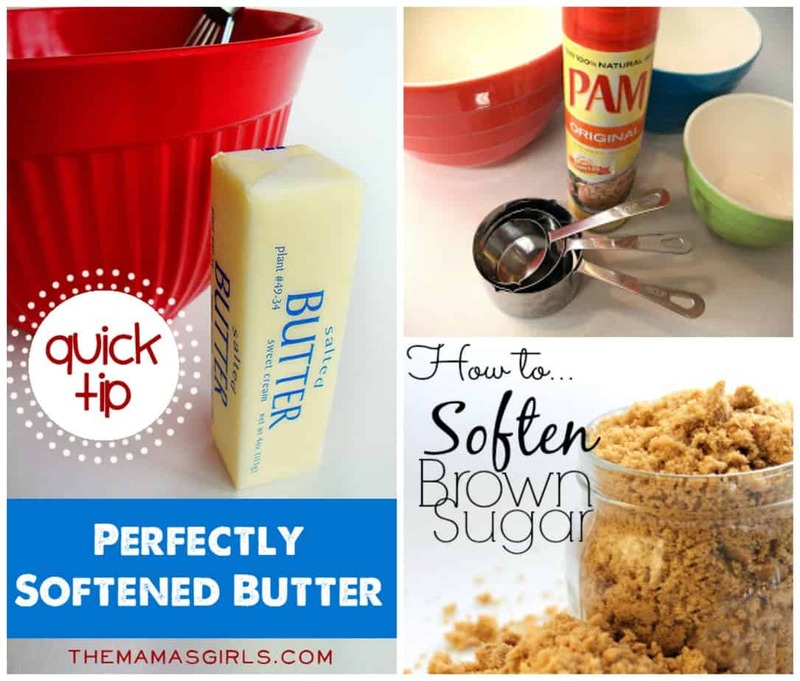 A quick way to soften butter – I always forget to set my butter out before baking so this is a great tip. 2. Spray measuring cups with cooking spray when measuring sticky things. DUH!! 4. Use a plastic knife to cute brownies. How simple is that? 5. And here are 3 more tips for cutting desserts better from The Kitchn: Use a heated knife for chilled pies and ice cream cakes, a cool knife for sticky desserts and a buttered knife for cakes. 6. 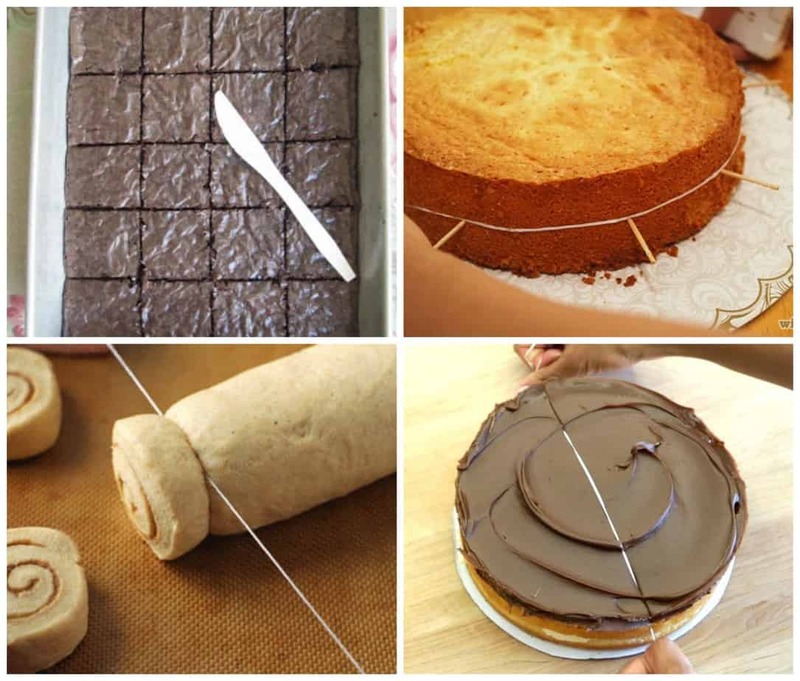 Mom this tip is for you – Use unscented dental floss to cut cakes and cookie dough. 7. 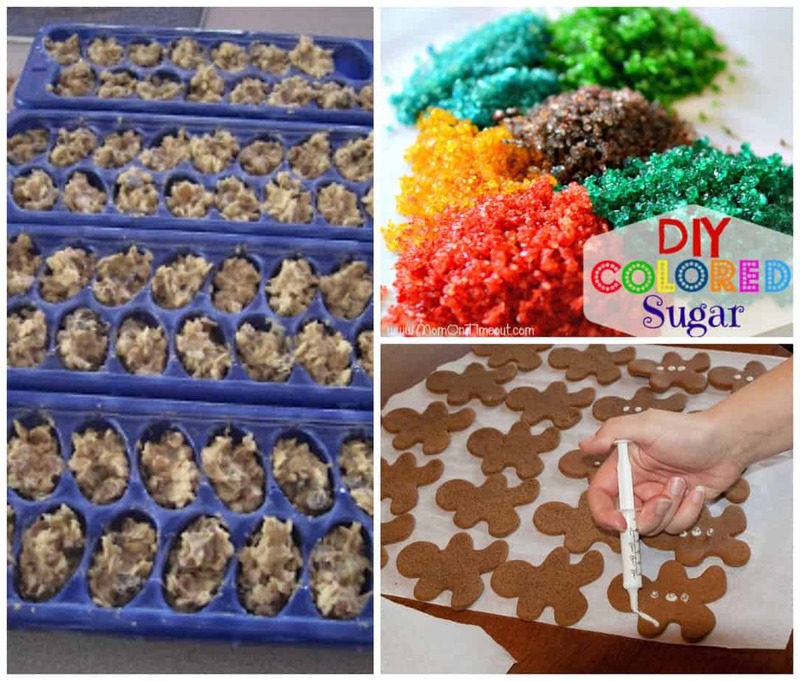 Freeze cookie dough in ice cube trays – Genius idea! 9. Use a syringe to decorate cookies and cakes. 10. 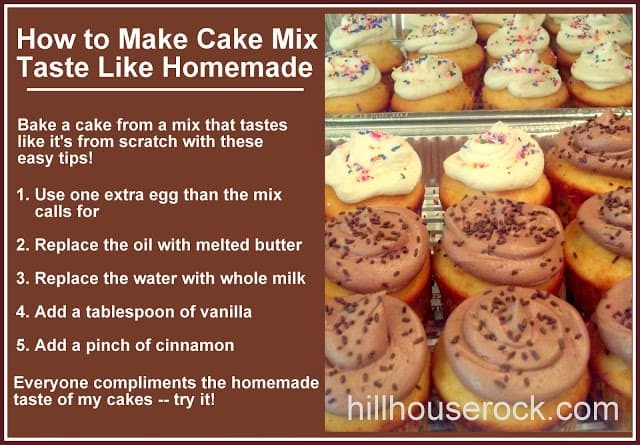 Make box cake mix taste homemade. 12. 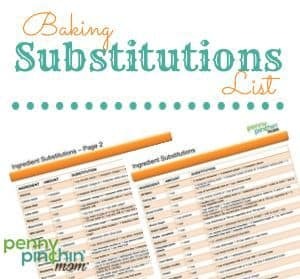 Baking Substitutions for when you’re missing important ingredients a recipe calls for. 14. 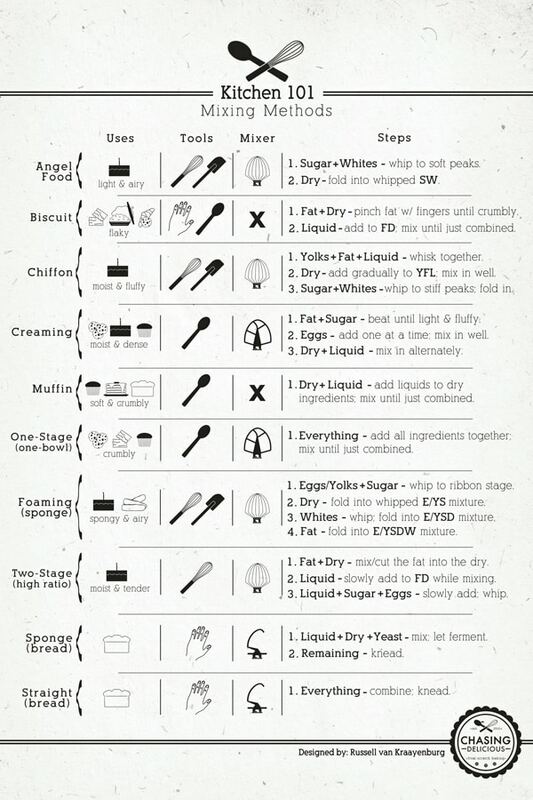 Mixing Methods – This poster is awesome! I’m definitely guilty of just mixing all the ingredients together. These are so stinkin’ cute! 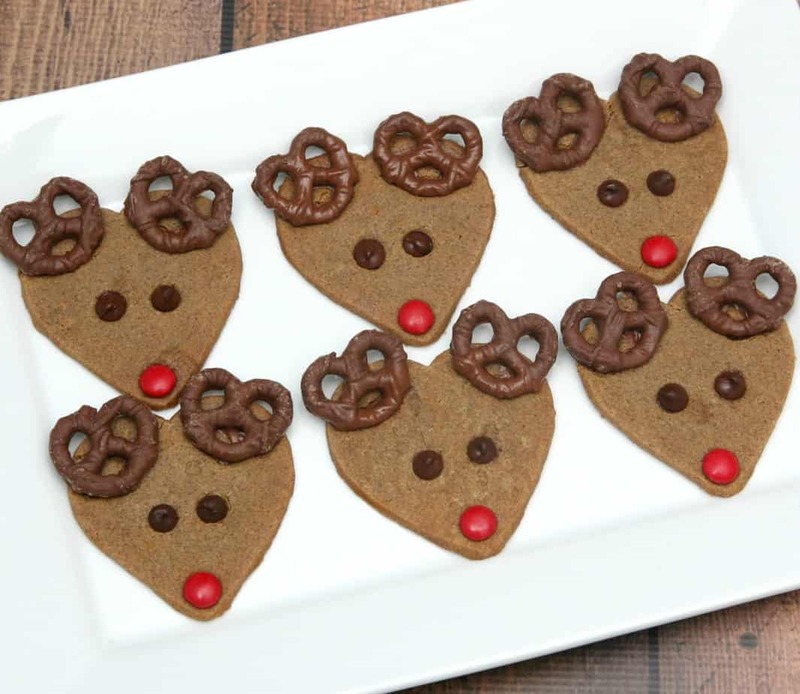 I love the chocolate pretzel antlers-I’m definitely bookmarking this for my holiday baking! 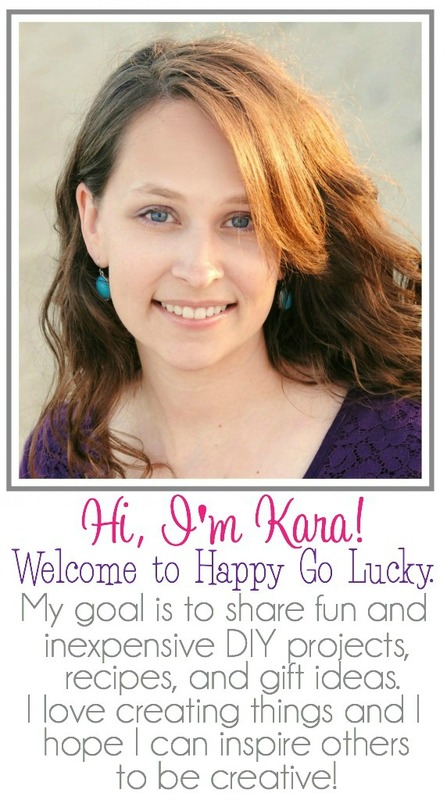 Kelly B. recently posted…Holiday gift guide for moms & sisters-and their kids! Aww…these are so cute! Love them!